National history is to be made as Kim-Marie Spence will become the first Jamaican woman to ski from the coast to the south pole. This endeavour is also going to make global history as this is the first such multinational female team to ski to the pole. Furthermore, Kim Marie is learning to ski for this journey! 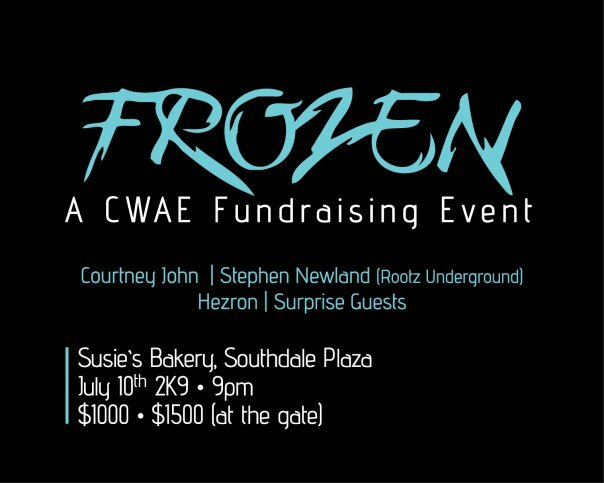 FROZEN is a fundraising party to support this effort- the Commonwealth Women’s Antarctic Expedition (CWAE). The CWAE is a team of eight women from the Commonwealth countries of Brunei, Darussalam, Cyprus, Ghana, India, Jamaica, New Zealand, Singapore and the United Kingdom, who aim to ski to the geographic south pole to mark the 60th anniversary of the Commonwealth. Eight Women, seven languages, six faiths, five continents! Jamaican Kim-Marie Spence is the only team member from the Caribbean, from the Americas, and from the Western Hemisphere. Artistes performing will include Courtney John in his first performance since the release of his latest album, Made in Jamaica. The ladies will be represented by Aisha Davis and Kris Kelli. Duane Stephenson, Herzon, Lenn Hammond, and Stephen Newland of Rootz Underground will also be there. Artists will include Barbadian-Jamaican artist Nakazzi and Robert Grant. Tickets at the gate are $1,500. Prepaid tickets at Susie’s Southdale Plaza before 7pm!